When appropriate, mention others in the description of a pin or the comments section. 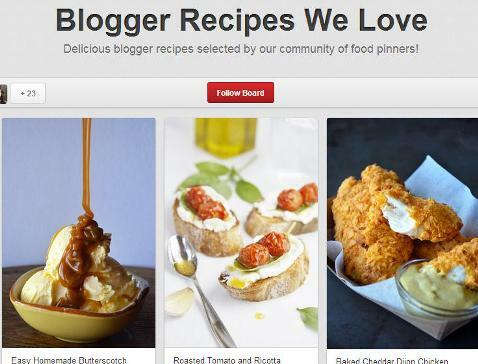 Mentioning other Pinterest users can be a great way to attract their attention and get them to follow you. When you mention someone on Pinterest, consider complimenting them, too. This will further draw you to that person’s notice and encourage them to follow you. Connect your Facebook and Twitter accounts with your Pinterest account to attract your Facebook and Twitter friends and followers to your Pinterest account. You can easily tweet your pins so your Twitter followers can see them anddisplay your latest Pinterest activity in your Facebook friends’ and followers’ feeds. Choose the different types of activity you’d like people to see, and with a simple click they can visit your pins, check them out and follow you on Pinterest. 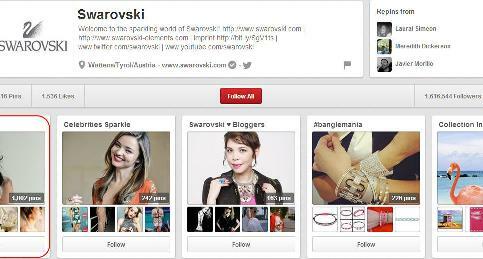 To help attract followers, you can also add a link to your Pinterest account in your other social media account bios. Connecting your Twitter and Facebook accounts to your Pinterest account can help attract followers from those networks. Krishna De has connected both her Twitter and Facebook accounts to her Pinterest account. As you can see in the above screenshot, this displays both accounts on her page and can help all three social networks gain followers. Another advantage of connecting your other social networks is you can find friends and connect with them. Connect your accounts and click on your business name in the top right corner of the screen. In the dropdown menu that appears, click on Find Friends. You can thenchoose the social networks you’ve connected to find friends and followers and follow them on Pinterest. Connect your social media accounts to your Pinterest accounts and find friends and followers you already know. As you follow people you already have relationships with, they’ll be very likely to follow you back. Instead of following an entire profile, people prefer following boards on subjects they’re interested in. Work on getting followers for your most popular boards instead of the entire account. Go through your brand page and look for your most popular boards and promote them to gain more followers. 1. Place your popular boards in the top row so people can see them as soon as they visit your brand page. 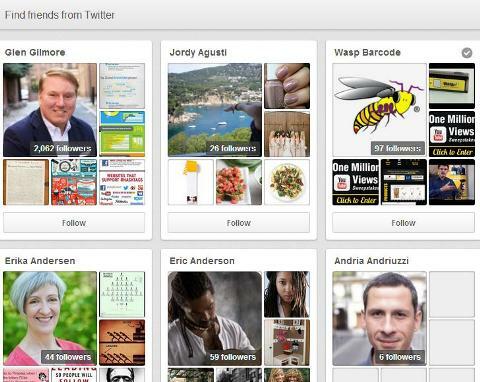 Place your most popular boards in the top row of your Pinterest page to get more people to notice them. Swarovski uses the top row of their Pinterest page to display their most popular board, Wedded Bliss, which now has more than 1.5 million followers. 2. Use the board widget to display 30 of the latest pins from the selected board and lead viewers to the board by clicking on it. You can build a board widget by visiting the widget builder page. The board widget can help convert website visitors into board followers. 3. Invite board contributors to pin to your boards to help attract followers. This can aid you in two ways—1) the contributors will share lots of pins, which will increase your board’s exposure and 2) the board will be displayed on their profile too; thereby converting some of their profile visitors to followers of your boards. Group boards can get you a regular supply of both followers and pins. The above is an example of Better Homes and Gardens’ Blogger Recipes We Love, a popular board that has a lot of board contributors.